The debate around climate change solutions contains a lot of numbers that can be confusing to those not literate in climate science. Here we give a brief explanation of the measures of greenhouse gases in the atmosphere. The make-up of the atmosphere is measured in parts per million (ppm). This represents the number of molecules of a certain gas in one million molecules of air. The levels of greenhouse gases in the atmosphere are measured in ppm of carbon dioxide (CO2), or in ppm of carbon dioxide equivalent (CO2-e). The measure of carbon dioxide equivalent represents all the greenhouse gases, converted into their equivalent amount of carbon dioxide. The Kyoto protocol lists six greenhouse gases (or types of gases) that cause global warming, these are CO2, methane, nitrous oxide, sulfur hexafluoride, hydrofluorocarbons and perfluorocarbons. All of these have different warming effects. For example, one molecule of methane has 25 times the warming effect of one molecule of CO2 over 100 years. For the last 650,000 years, CO2 levels have ranged from 190-280ppm. In the last 10,000 years up until the industrial revolution, the CO2 concentration was 280ppm. Currently, due to human activity such as the burning of fossil fuels, intensive agriculture, and land clearing, the CO2 level is just under 390ppm, and the CO2-e level is around 455ppm. Both measures are continuing to rise rapidly. These are significant increases from pre-industrial levels at speeds not seen in natural systems. So what level of CO2 should we aim for in order to avoid runaway climate change and the subsequent catastrophic collapse of the global ecology, economy and society? A report released in April 2008 by 9 climate scientists from around the world including James Hansen from NASA, argued that to stabilise the global climate, the arctic sea ice must re-form to levels like those 25 years ago, and for this to happen, CO2 levels have to return to 300-325ppm from the 390ppm they are at today. Also, Professor John Schellnhuber, director of the Potsdam Institute for Climate Impact Research in Germany said in September 2008 that 330ppm CO2 and above was unlikely to be safe and that 270-320ppm CO2 was probably a safe concentration. Due to this scientific evidence and opinion, Yarra Climate Action Now, together with 150 other climate action groups from across Australia are demanding that the world set a long-term stabilisation target of 300ppm CO2 in the atmosphere, in order to reduce the risk of runaway climate change. This is well below current levels, which will mean not only de-carbonising our economy, but also actively removing carbon from the atmosphere. The science is not yet clear as to how fast this target needs to be reached. Unfortunately, the Australian Government’s policy is still lagging well behind the climate science. The 5-15% emissions reductions by 2020 on 2000 levels set out in the Carbon Pollution Reduction Scheme if adopted globally would set the world on a course towards 550ppm CO2-e with unimaginable consequences for humanity. 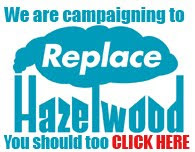 Even the preferred option of 450ppm CO2-e, recommended by the Garnaut Review and accepted by the Rudd Government (associated with a 25% emissions reduction by 2020) would, (according to Garnaut himself!!) only give us a 46% chance of avoiding 2 degrees of warming and thereby runaway climate change (some scientists say that even 2 degrees of warming could set off feedback loops that result in runaway climate change). If we want a safe climate future, then we must aim towards 300ppm CO2. To aim for anything more places the lives of current and future generations at an unacceptable risk.